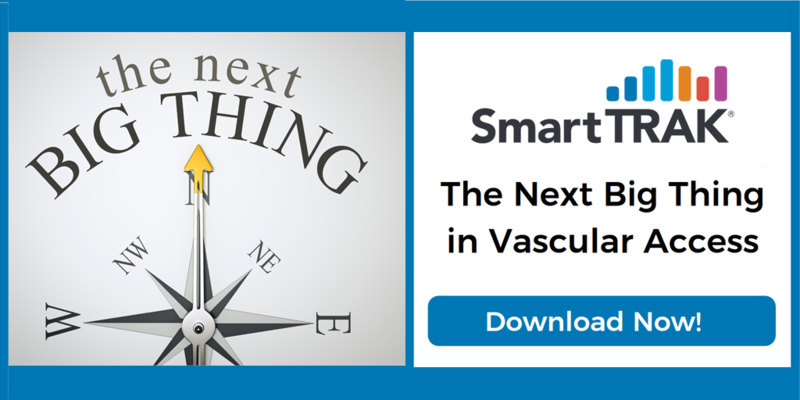 Products that prevent peripheral IV failures could be the next big thing in the market for vascular access adjunct products, a market opportunity valued at more than $600MM in the US alone, according to SmartTRAK estimates. All eyes were on the high failure rate of peripheral IVs at the Association of Vascular Access (AVA) 2018 Annual Scientific Meeting, with speakers highlighting the 2015 article by Helm et al. “Accepted but Unacceptable: Peripheral IV Catheter Failure,” which estimates a PIV failure rate of 35% to 50% primarily caused by phlebitis, infiltration, occlusion/mechanical failure, dislodgment and infection. Failure is defined as the removal of the catheter prior to the end of its intended life or before the 72 to 96 hours previously used as a guideline. And with up to 90% of all hospitalized patients receiving a PIV, it is a standard but often overlooked procedure in the hospital.